Beechwood Inn Wedding of Candy and Tom in North Georgia. 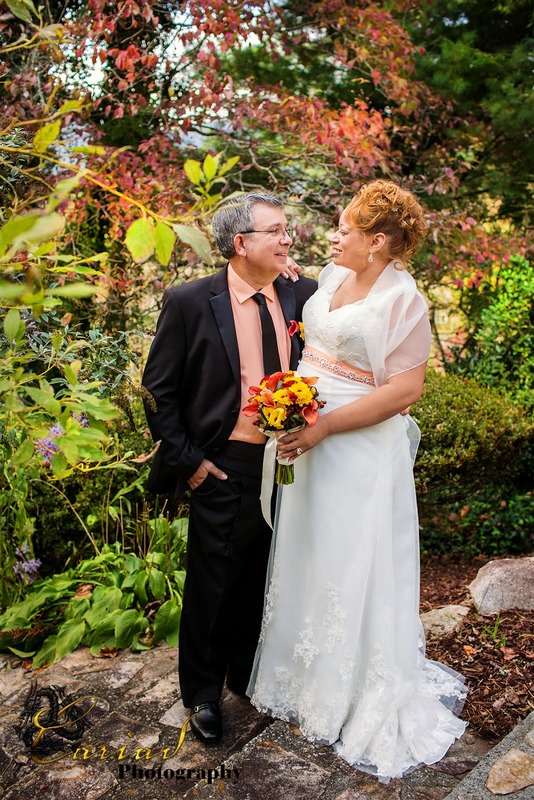 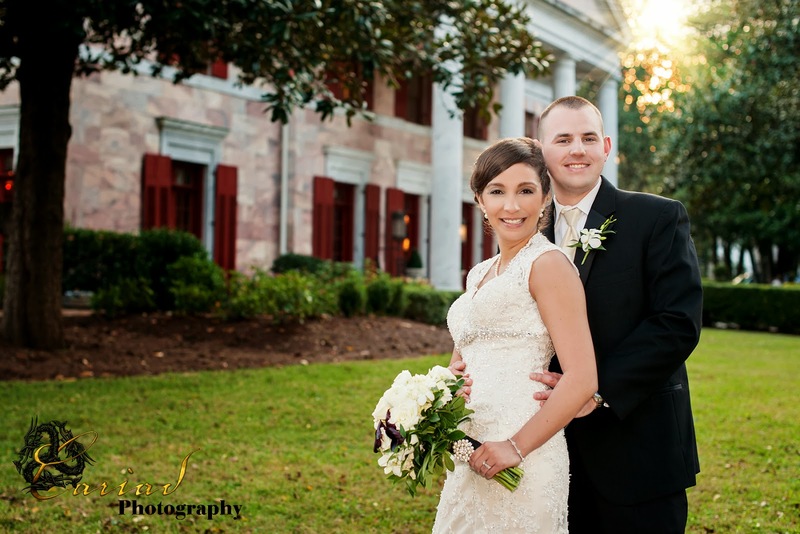 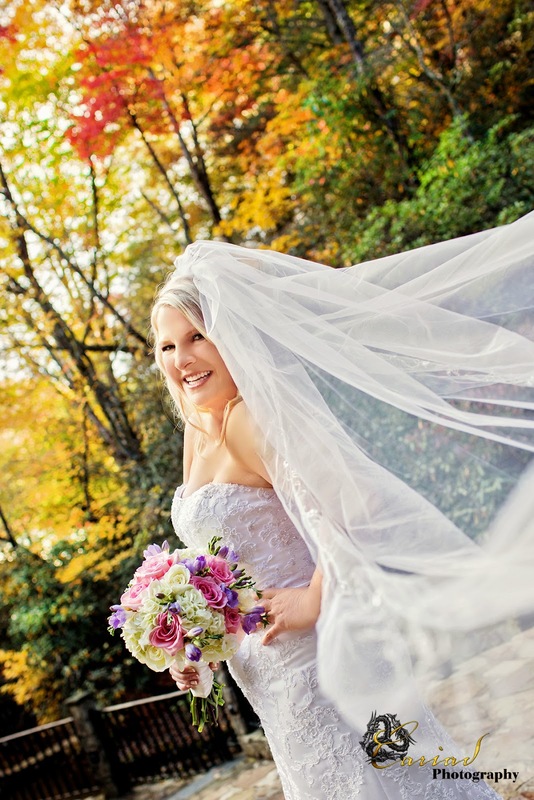 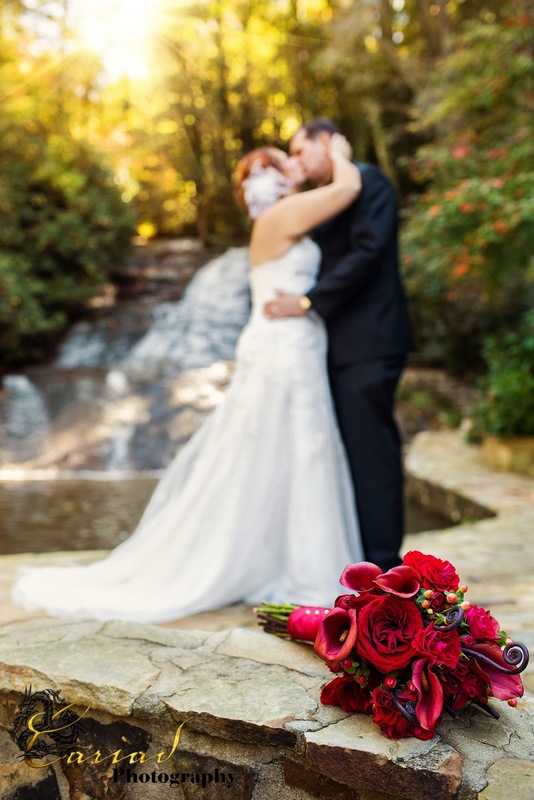 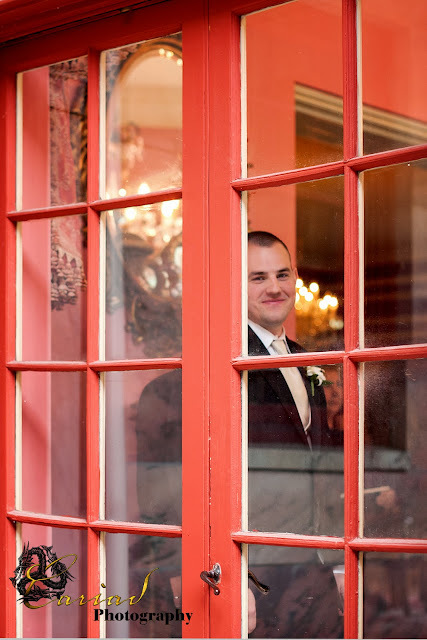 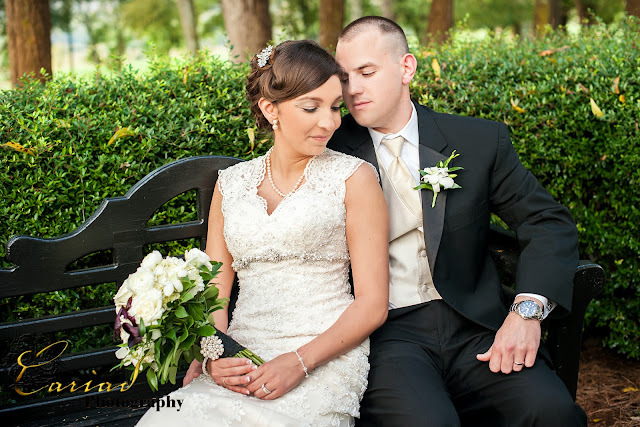 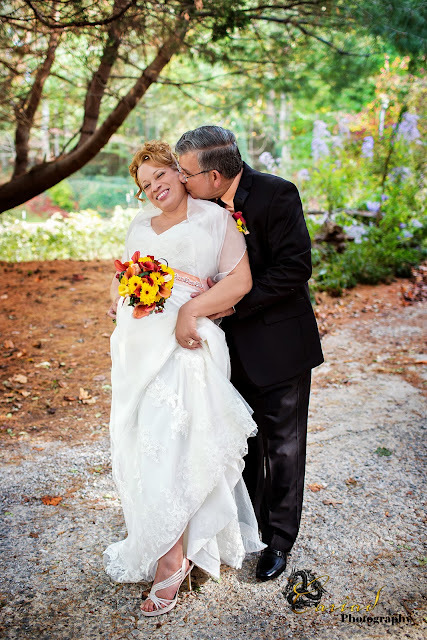 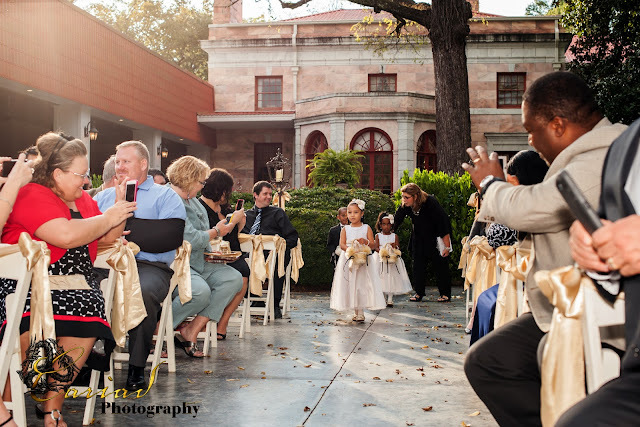 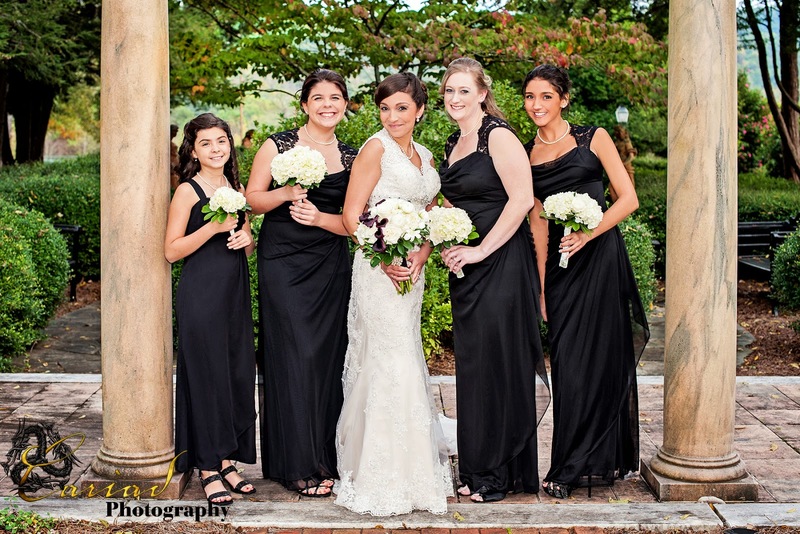 We just loved, loved photographing Candy and Tom's wedding at the charming Beechwood Inn in Clayton, GA. 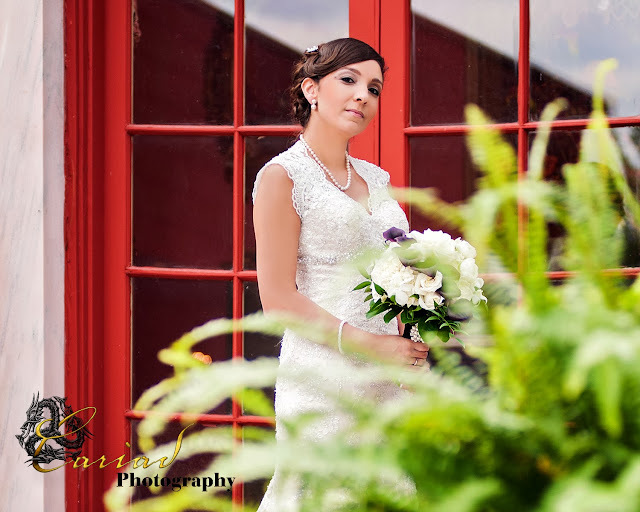 This little Inn is to precious and if I did not live in the area I would for sure love to spend a few nights there. It was absolutely perfect for this couples intimate little wedding and the food was to die for. Yes, we were invited by the couple to enjoy dinner with them after we finished taking their photos, what a sweet treat, this sure made this north ga wedding photographers day :). What a lovely surprise, specially since I forgot that I entered these contests...........we won with two photos this week, FUNNNNN!!!! 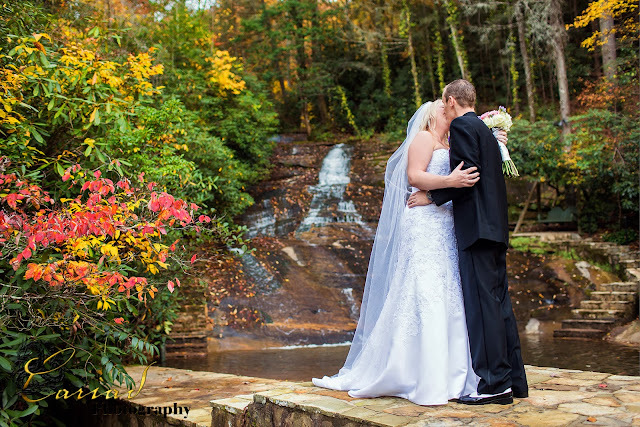 A big thank you to the judges :) This North GA Wedding Photographer is thrilled. 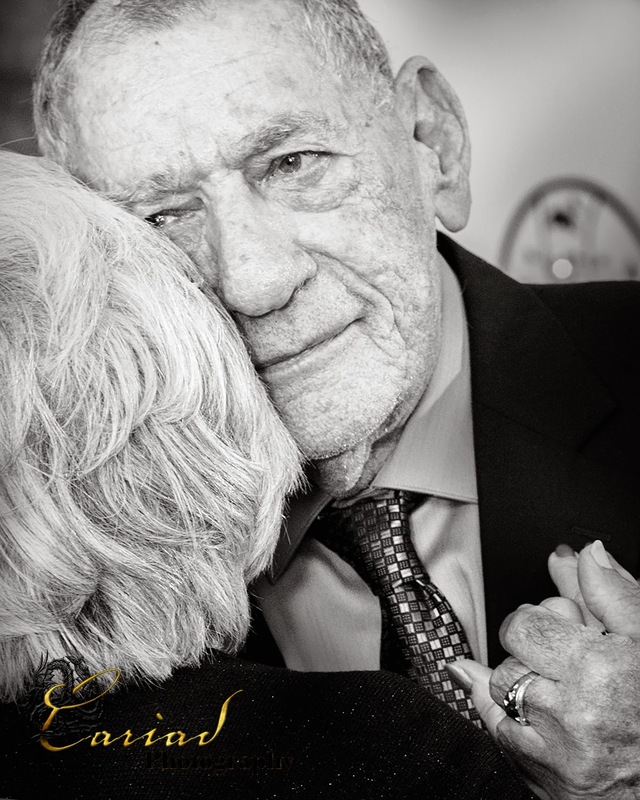 I have always loved photographing older people and people with a lot of character. 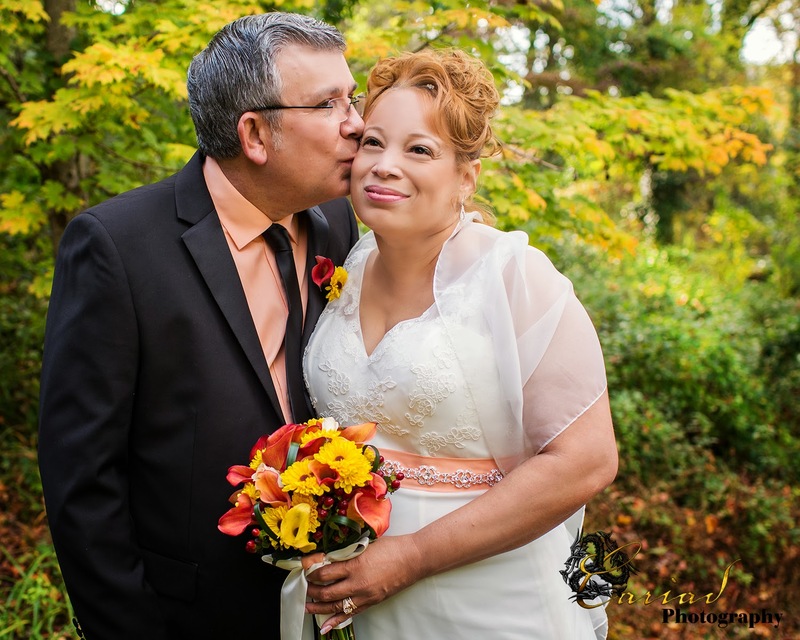 At a recent wedding I had the pleasure to photograph the parents of our bride dancing and the look that her father had in his eyes after 54 years of marriage warmed my heart. 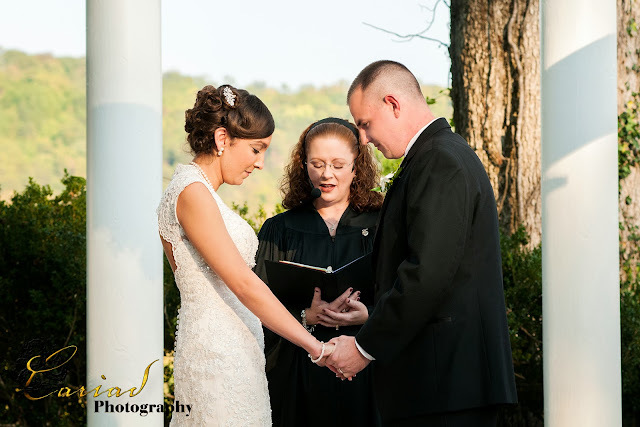 This couple was a prime example of what marriage is suppose to be. 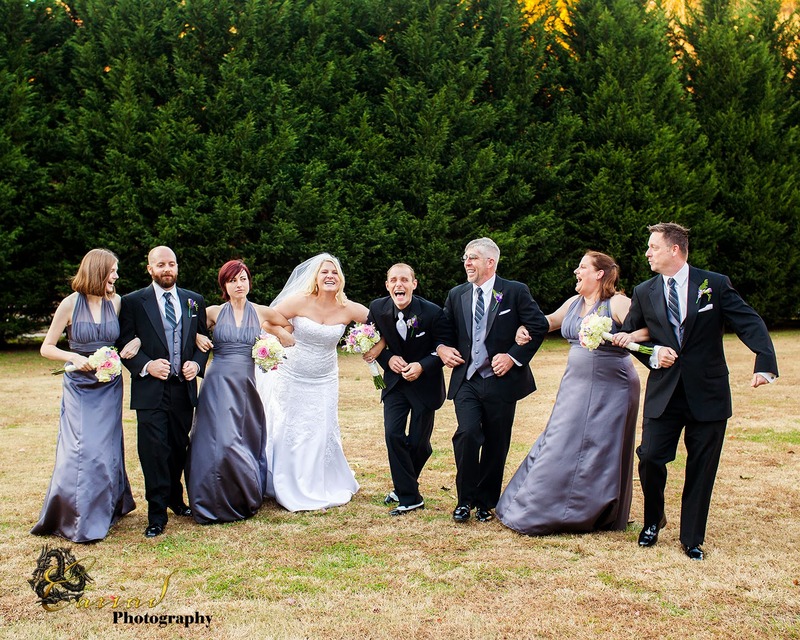 You could feel the love between those two people by just watching them dance. I lost my parents a long long time ago and I wonder if they were still alive if I would see the same kind of love in their faces. 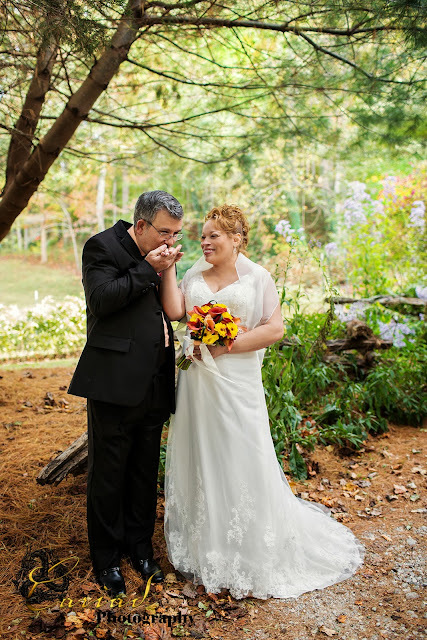 Treasure your parents and the love they have for each other it is such a special thing. 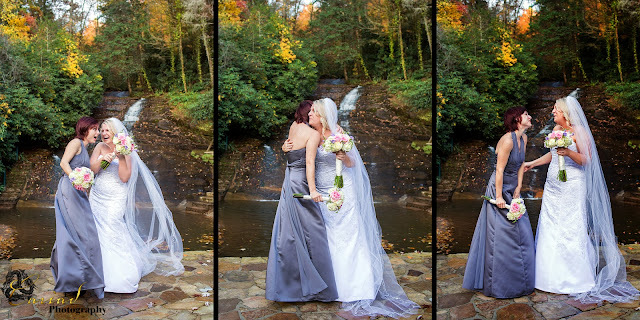 This North Georgia Wedding Photographer has seen this so much this year. Many of our weddings were more IPhone and IPad commercials then wedding ceremonies. This time of year we always are busy shooting our fall weddings. 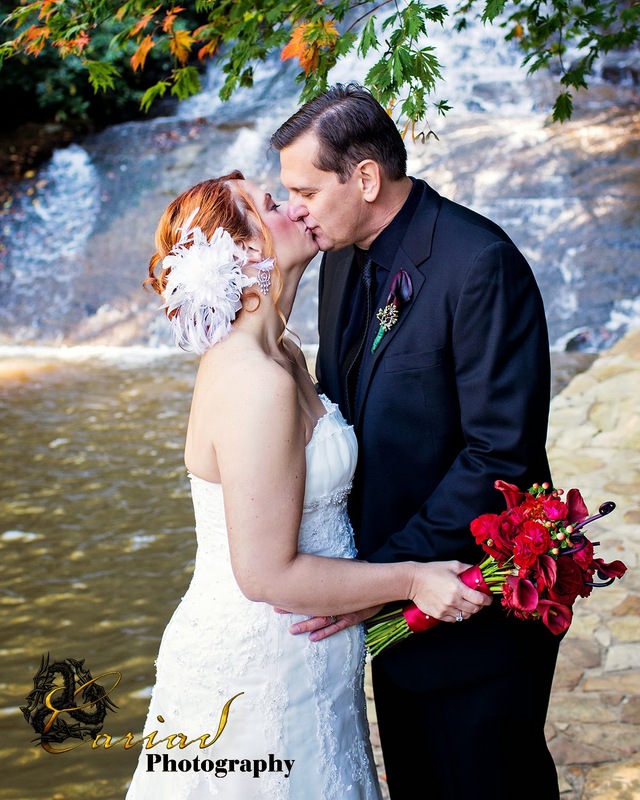 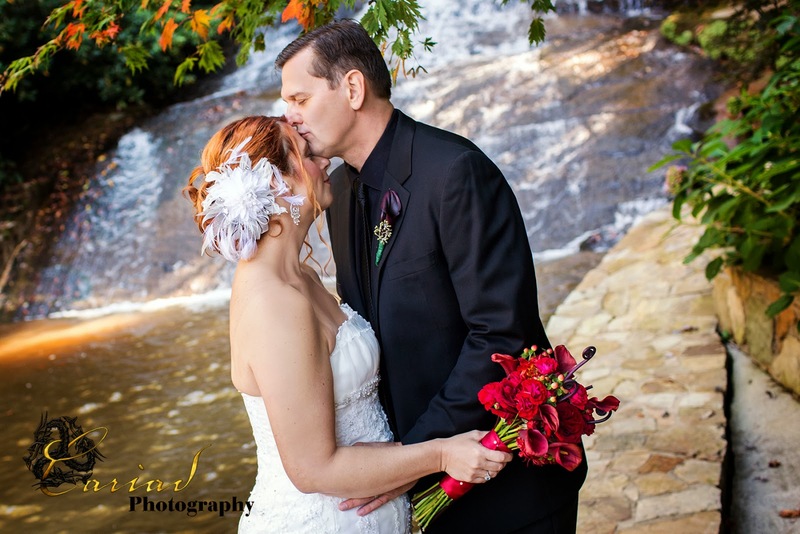 Chota Falls always is a beautiful backdrop for romantic weddings. 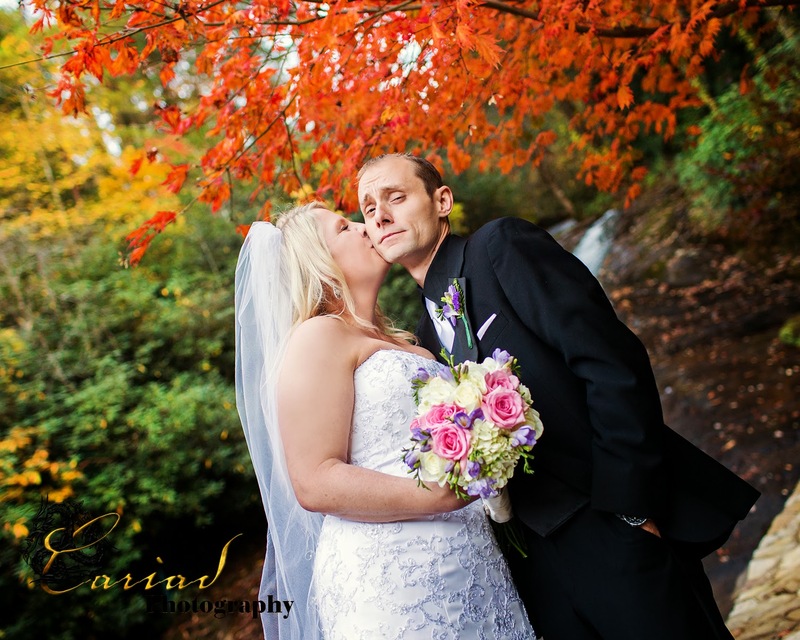 Chota Falls Fall Engagement Session of Meghan and Ryan. 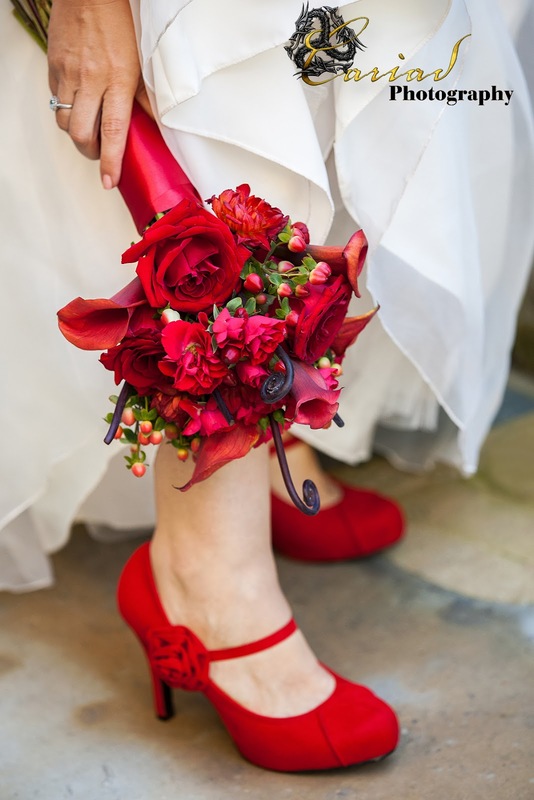 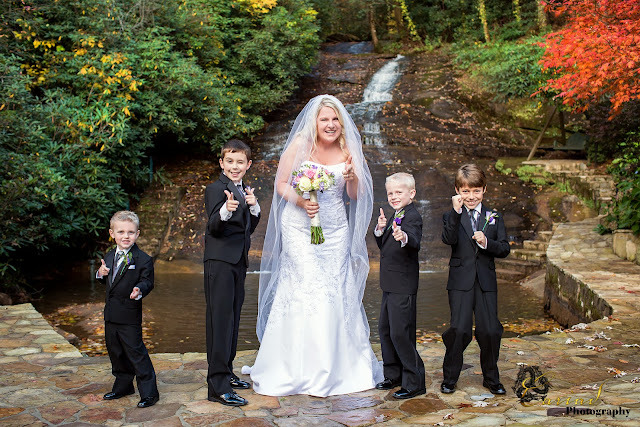 Walter's Barn Wedding by North GA Wedding Photographer Cariad Photography! This past August we had the pleasure to photograph Amanda and Tony Hosch's wedding at Walter's Barn in Lula, GA. 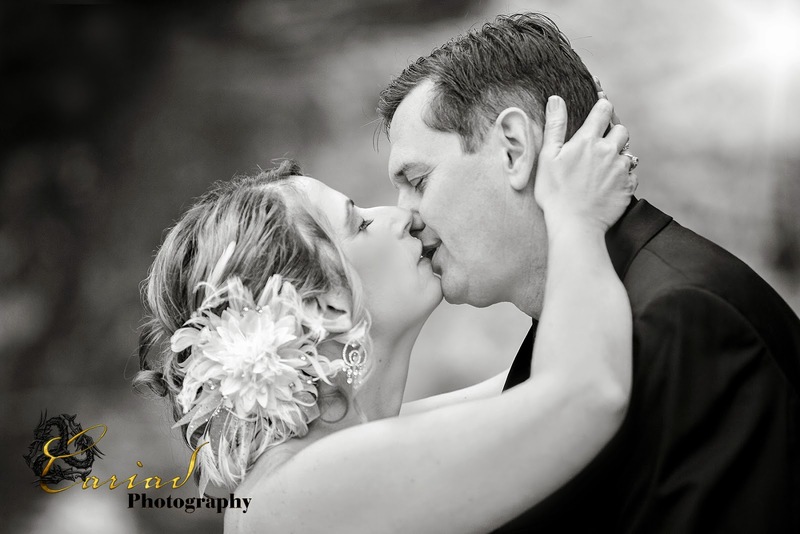 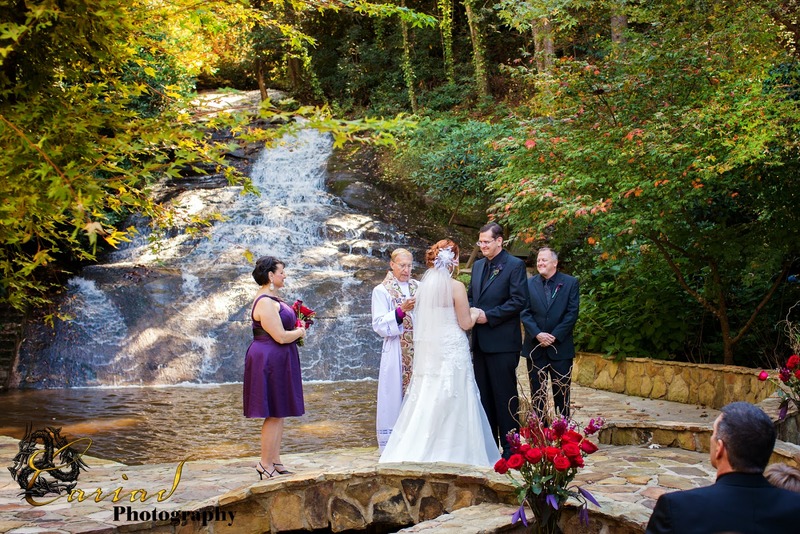 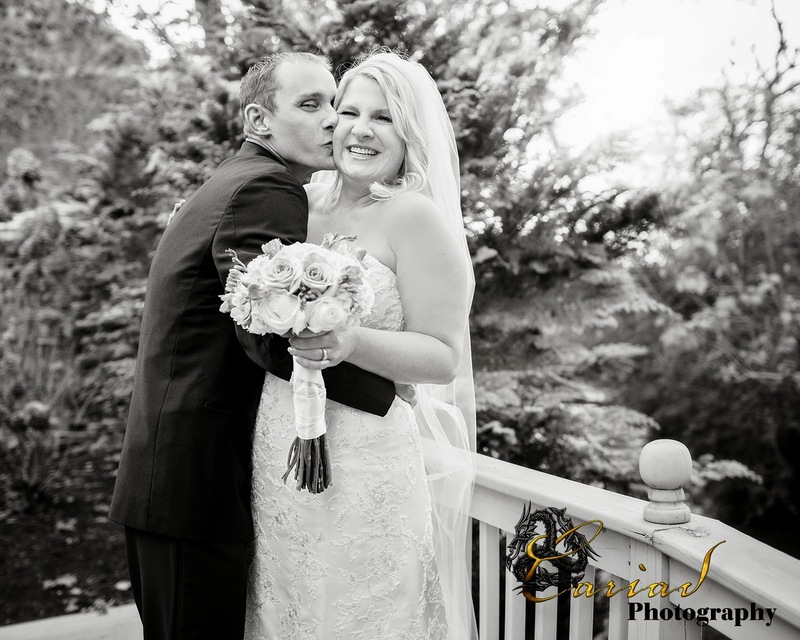 This North GA wedding photographer had such a great time to record this couples special memories. Amanda and Tony were delightful from the word go..........we had a blast shooting their engagement as well as their wedding. 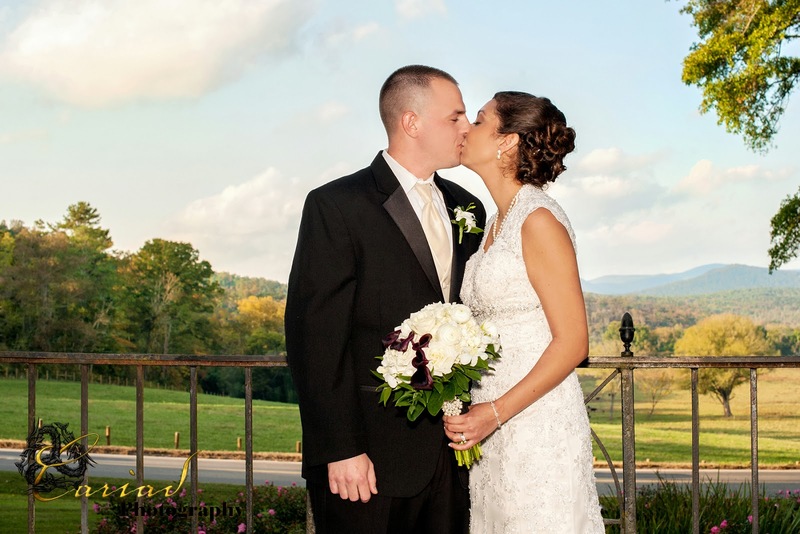 Walter's Barn is a lovely rustic venue with green rolling hills, ponds and a lovely barn. 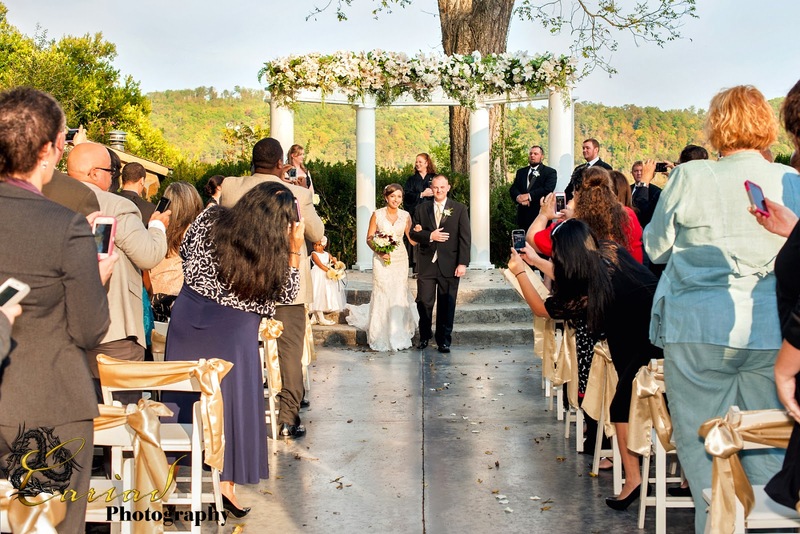 The staff at this venue was extremely helpful and we can't say enough about them. 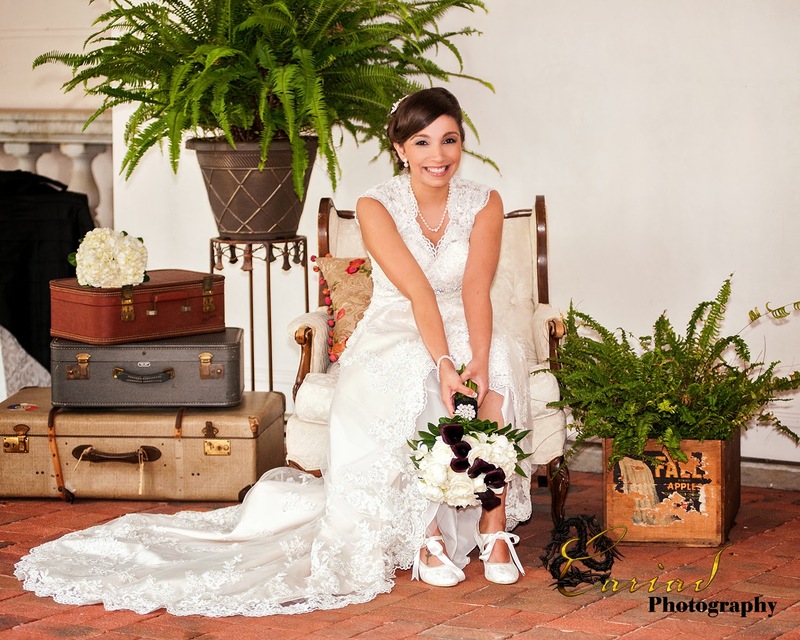 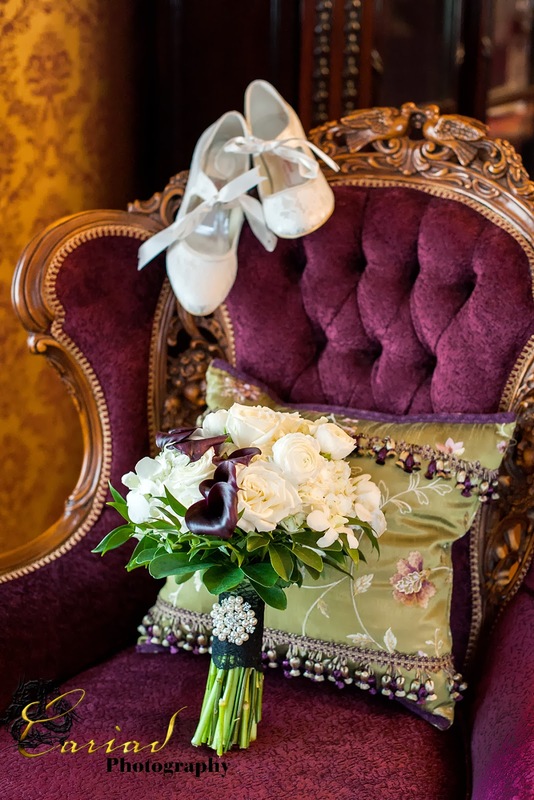 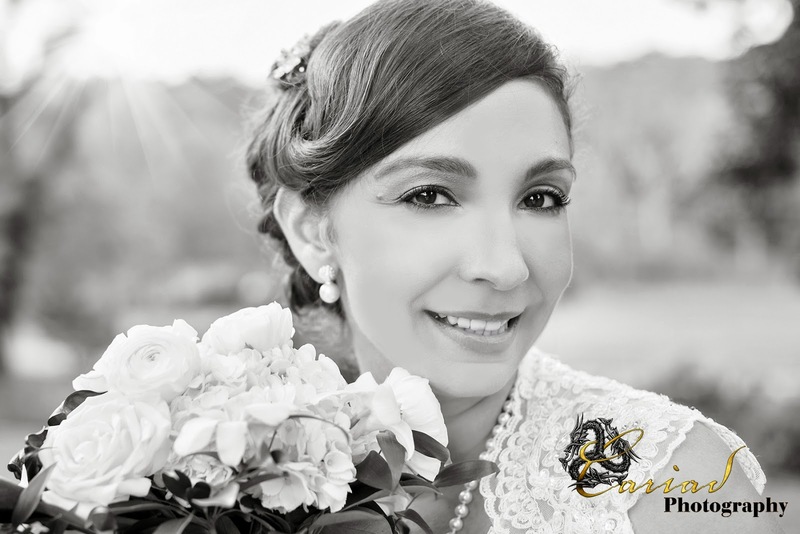 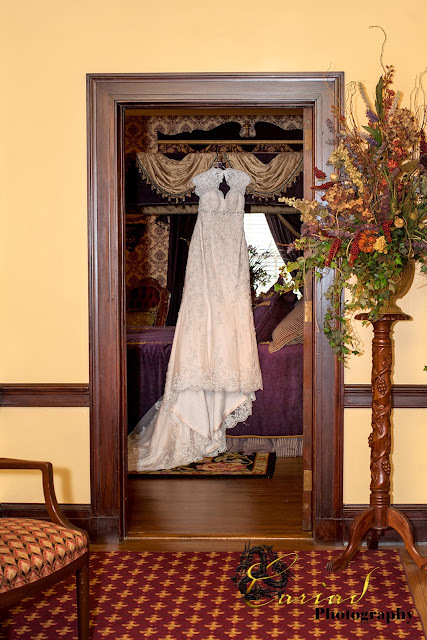 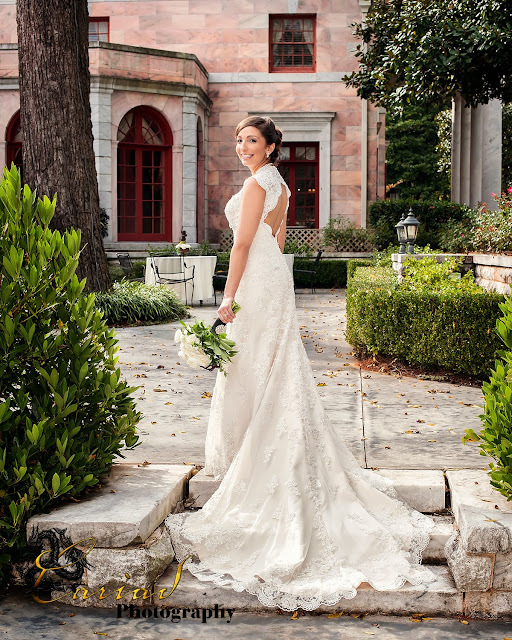 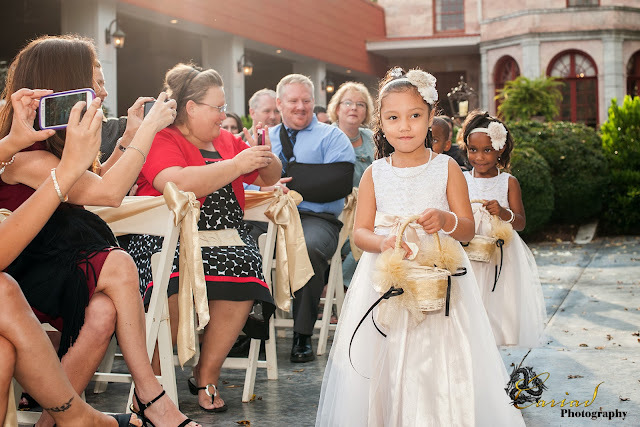 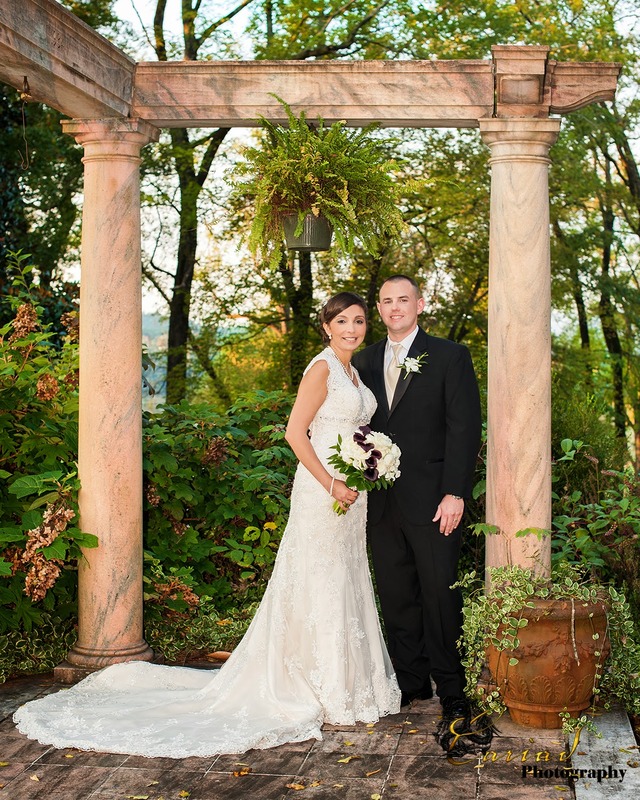 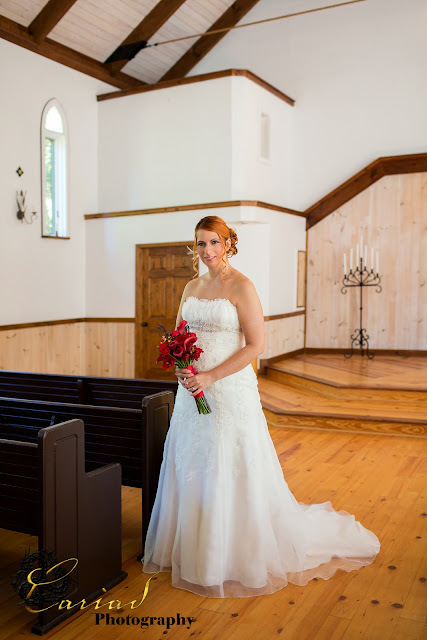 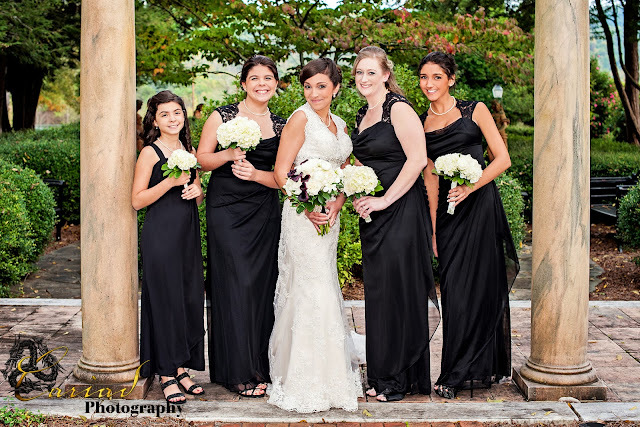 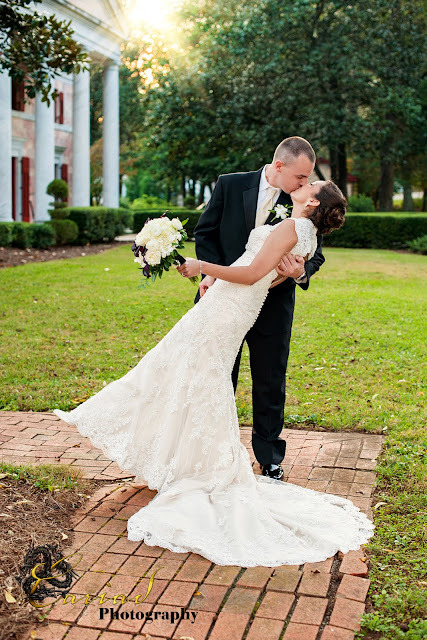 The Enchanted Florist out of Commerce, GA created all their beautiful flowers and Amanda looked absolutely stunning in her gorgeous wedding dress. 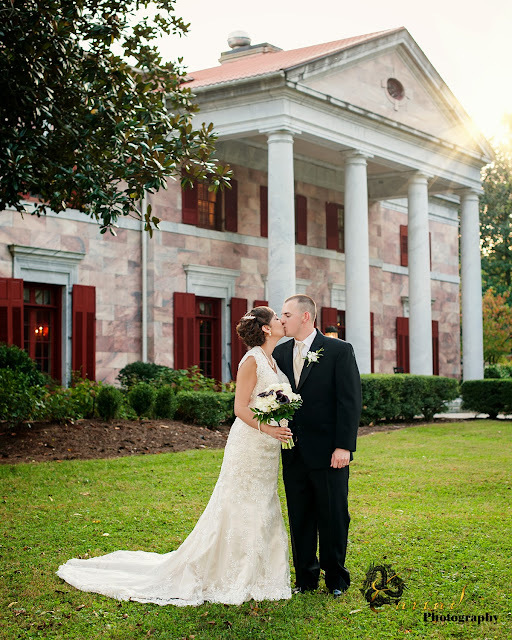 Yesterday their sweet wedding was published by the Savvy Deets Wedding Blog and we are so thrilled to see the wedding featured. 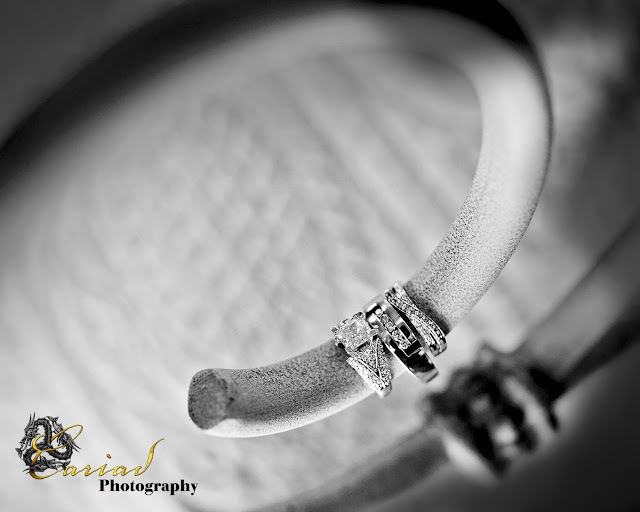 A big thank you to the couple for allowing us to photograph their special day and to this lovely blog for once again publishing our work. Please click on the link below and enjoy our wedding and all the other inspirations this wonderful blog offers to brides. 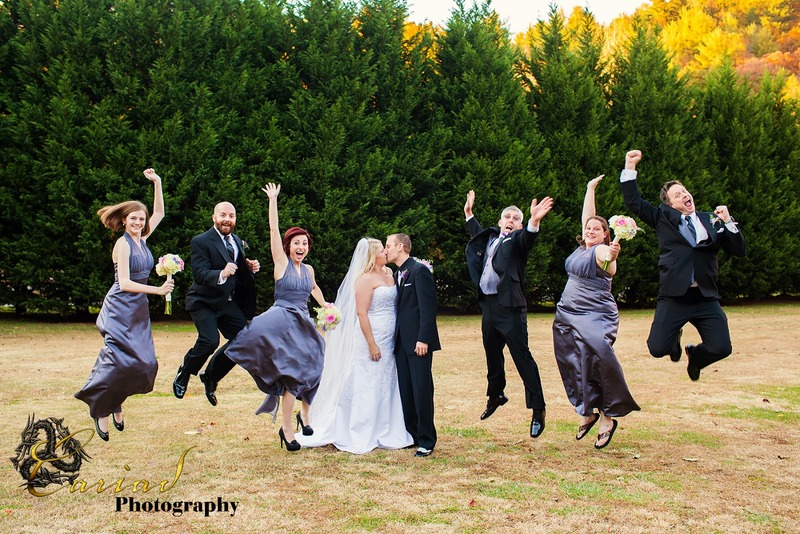 Wedding versus IPhone Commercial a Plea to Wedding Guests! 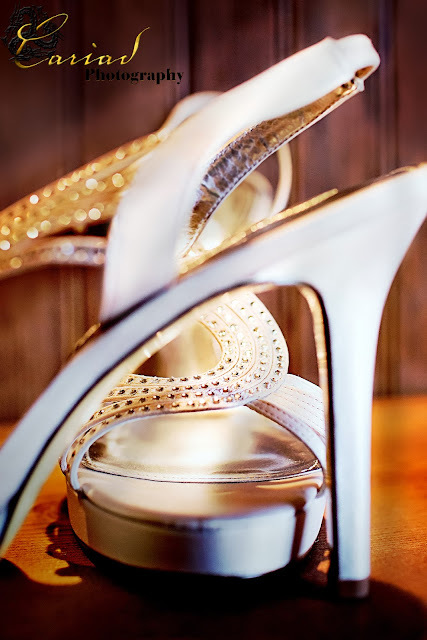 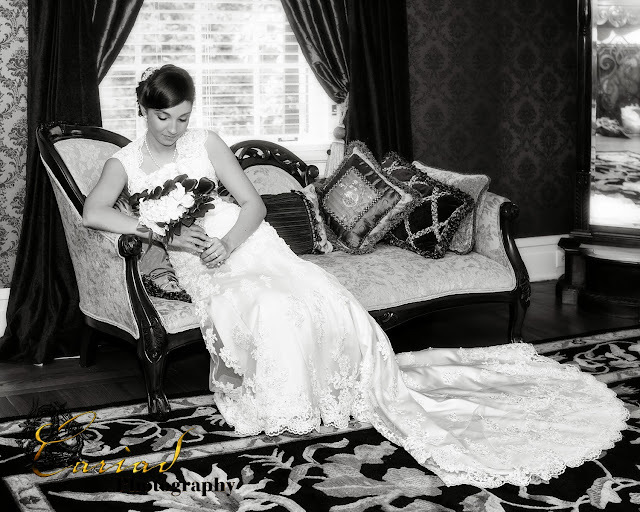 As professional wedding photographers we always strive to give our clients the very best photos of their special day. Sometimes as hard as we try it is very hard to do our job because some of the guests insist of taking photos with their IPhones and Tablets of various sizes. 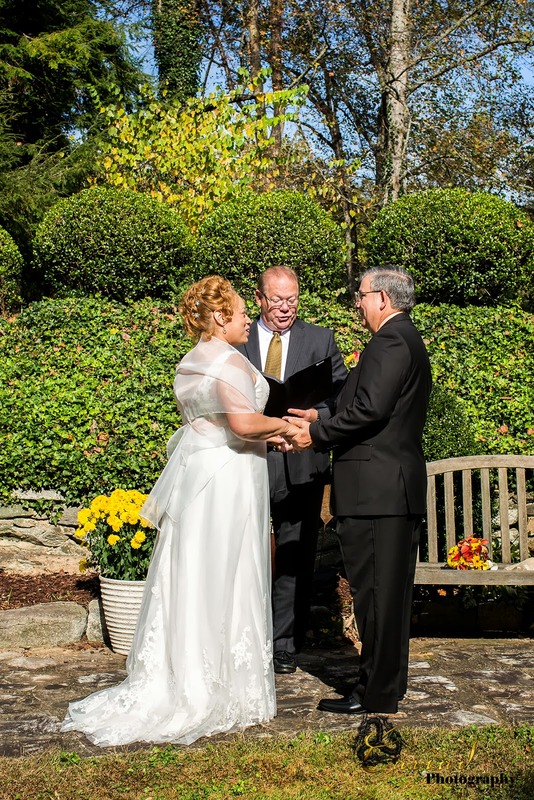 I know they don't mean to make our life more difficult but they do, if nothing else they should keep in mind that the couple could have such wonderful photos of their ceremony instead of Apple worthy commercials. the paid photographer just so somebody can get a less then perfect photo to post online to show that they were there. 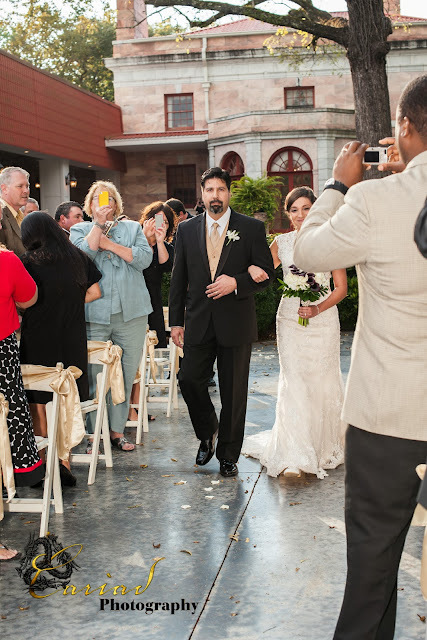 If anybody is planning on attending a wedding please keep your phone or tablet in your pocket or purse, enjoy the ceremony and this special time of your friends or family and let us do our job. 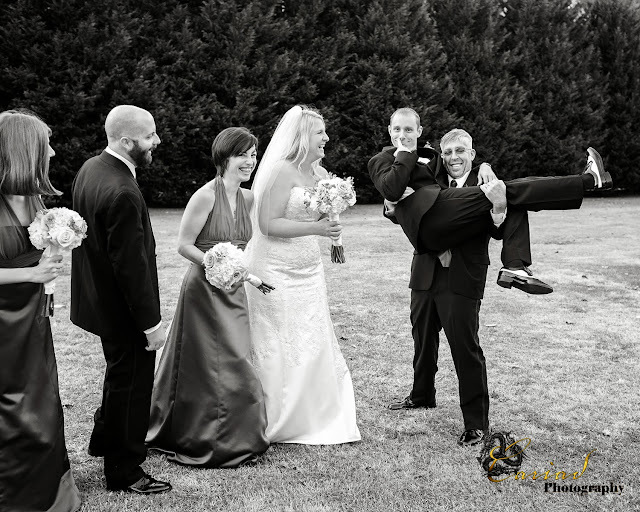 This is not about money, this is about giving our clients wonderful photo memories and we would so appreciate your understanding. 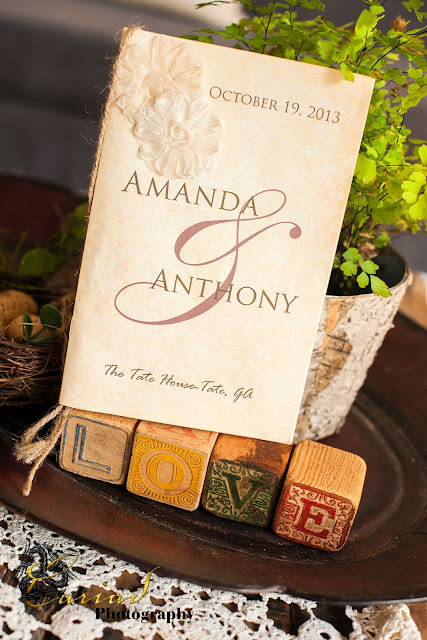 A request to our couples or any couple that is getting married, please make your wedding a unplugged event!